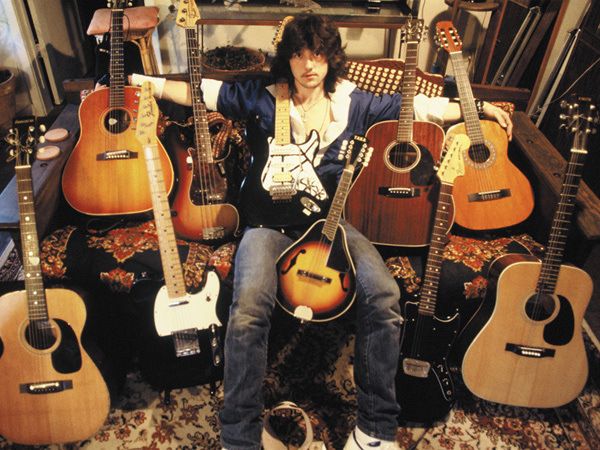 Jason Becker’s tale is the stuff of legends. A brilliant rock guitarist, he is an Icarus figure, who flew too swiftly to the sun and burned out early. But Becker’s story isn’t the obvious one of a talented individual laid low through an excessive lifestyle. At the age of 20, this nice young man was diagnosed with ALS (Lou Gehrig’s disease) while he was beginning to record his first album as the new hot guitarist for heavy metal rocker David Lee Roth’s band. Given five years to live, Becker defied the odds, learning how to communicate his musical ideas at first through playing light string guitars and keyboards but eventually through a laborious process of coded eye movements, which his father would translate and input into a computer programme. Now 43, Becker has recorded two LPs via new technologies (and his loyal, loving father) and continues to lead a lively existence, surrounded by family and friends in Richmond, California, a blue collar Bay Area city. Jesse Vile’s feature doc, appropriately titled Jason Becker: Not Dead Yet, is being released in Canada through KinoSmith distribution and will be playing all week at the Bloor Hot Docs Cinema. It’s a stirring tale and one that couldn’t have been made if Becker’s doting mother Pat and father Gary hadn’t shot endless videos and photos of their mercurial son as he achieved success and success at an early age. Vile’s doc vividly charts Becker’s rise to acclaim in the late ‘80s. At the age of 16, he partnered with fellow guitarist Marty Friedman (later of Megadeath), to form the band Cacophony, which recorded two highly regarded speed metal albums, and toured the U.S. and Japan. On his own by 19, Becker recorded a debut solo album and embarked on another major tour. The doc is filled with concert footage of the longhaired teenaged rocker making exuberant music—and having fun doing it. Director Vile has crafted Becker’s tale artistically. Particularly impressive are cuts of Jason as a kid running to his parents after the news about ALS has finally hit home to him and his family. Throughout, Vile and editor Gideon Gold have used the wealth of home footage offered them to make this doc a truly emotional experience. Jason Becker: Not Dead Yet is a life affirming, sensitive portrayal of an admirable musician and his family. It’s well worth seeing.